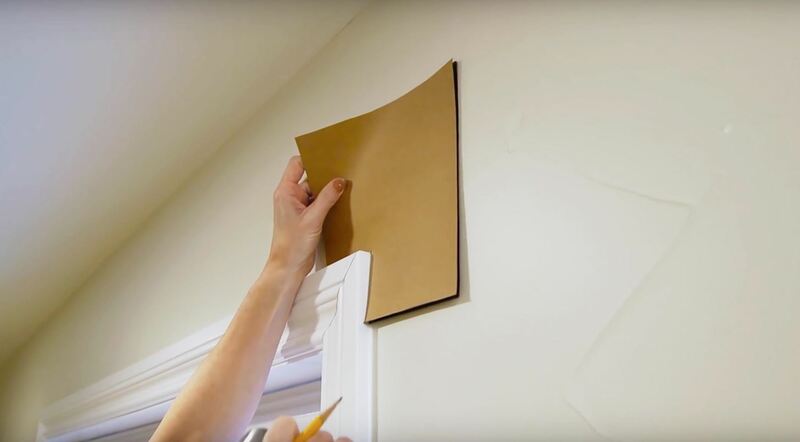 For anyone who lives in a space that may frown upon making holes in the walls, or for anyone who may not want to take on such a task, there's a simple alternative to hanging curtains or drapes. And the answer is brilliantly simple. 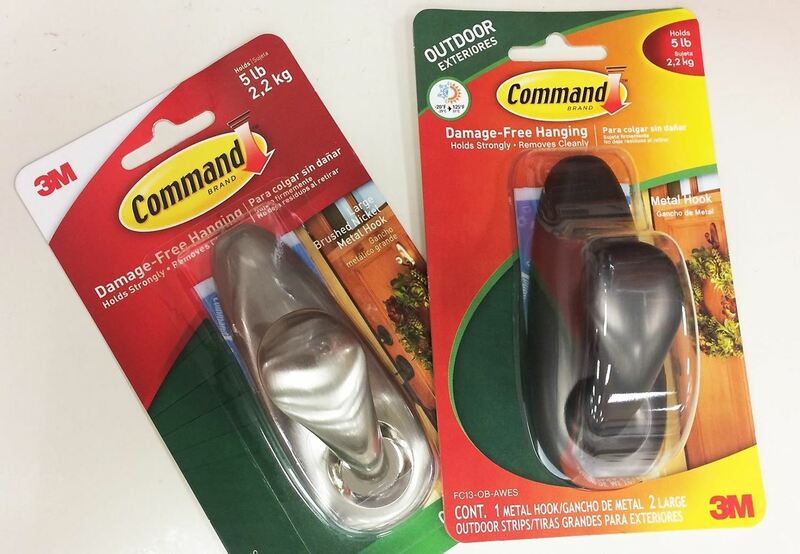 Look no further than 3M Command hooks. Yes, the same hooks you use for hanging pictures, keys, mugs, and plants. An easy hack turns them into quick DIY supports for your curtain rod and that splash of color, sun shade, or bit of privacy you've been searching for. 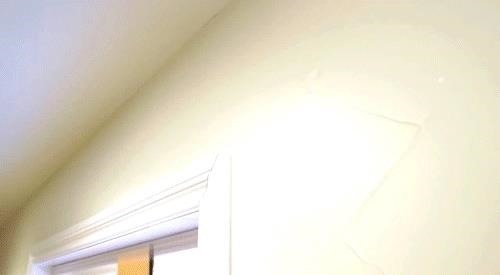 This is especially a welcome project for those who live in a dorm, an apartment, or home rental where the fewer holes in the wall the better. What's more, drilling holes in a wall isn't particularly easy. To get the job done right, you usually need a stud finder, level, anchors, screws, hammer, power drill, and drill bits. For this home hack, all you'll need as far as "tools" is a piece of cardboard, scissors, and a pencil. We first heard of this little life hack over 7 years ago, from Nikki Egdamin on YouTube and still love it this very day because it works with pretty much any thin classic curtain rod you can find. As for the hardware, you'll be using 3M Command decorative hooks instead of brackets; This project uses two large "Forever Classic" metal hooks in brushed nickel, which holds five pounds weight. There's also an oil rubbed bronze variety that's a good match for darker rods. Keep in mind that there are hooks made specifically for outdoor use, such as for hanging wreaths, but these would work just fine indoors, too. Also, depending on the length of your window (or door, alcove, etc. ), you may need a third hook to place in the middle to help distribute the weight of the rod more evenly. For this hack here, two hooks are sufficient. You will also need a curtain rod. Look for a heavy load capacity rod, which means that it's solid, non-adjustable. However, make sure it's fairly thin, or you won't be able to attach it correctly with the Command hooks. You can buy the metal hooks in small, medium, or large sizes, and we recommend you go large so you'll have an easier time finding the right rod, which should be less than ¾ inches in diameter. The key to hanging a curtain is to ensure the rod sits level on the supports. To do so, you'll be using a piece of cardboard with a right angle cut out and a pencil to mark the wall. Cut a right angle out of a piece of cardboard and line it up with the window frame's corner. Below, you can it's lined up with the trim, but it's the same concept if your window has no trim around it. 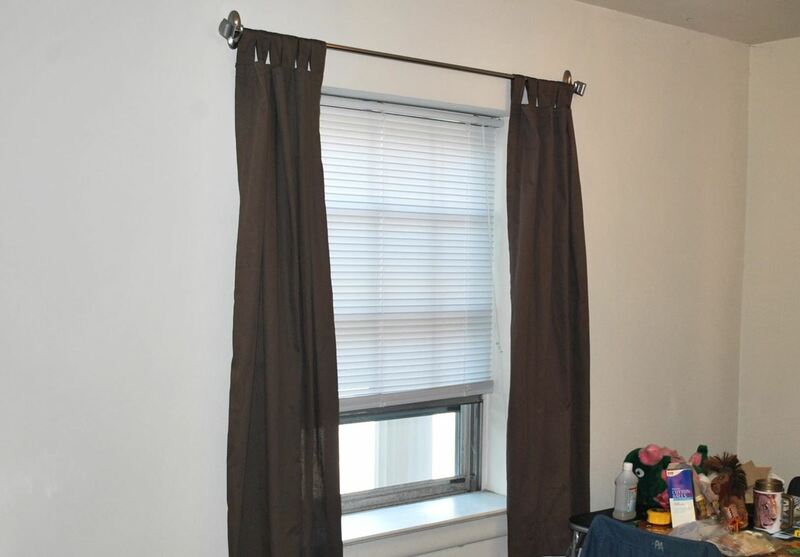 Take your 3M Command hook and hold it to the cardboard and decide where you'd like your curtain to hang. Once decided, make a mark on the cardboard (at the bottom of the hook) with your pencil. Next, use your pencil to puncture the cardboard on the mark previously made. Go all the way through and actually mark the wall of the first hook. Then, turn the cardboard around, head to the other side of the window frame, and mark that spot as well. Take one of your 3M Command hooks, take off the paper backing on the adhesive strips, and line the hook up on the wall using the pencil mark for guidance. Press it on the surface well, holding for at least 30 seconds, then let it be for at least a half hour. Repeat the same for the other side. Don't be in a rush. Leave the hooks on for longer (an hour even) to be safe. Instructions on the back of the packaging recommend sliding the hook up and off and then pressing the base firmly for 30 seconds. And then sliding the hook back on for use, to make sure you're applying enough pressure in the right spot. After you've waited for the proper 30 minutes (to one hour), it's time to add your rod to make sure it's working well. There's really not much to this process. Done! Your rod is now ready for a window treatment. Pretty much hassle-free and definitely free of holes. You're all set. There's nothing more to it. No longer will you have to lament how plain your window/wall looks. If only you could drill holes, right? Well, you don't have to! 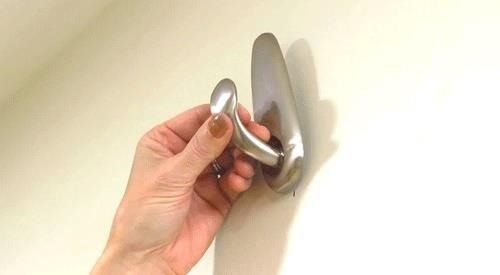 With 3M Command hooks, you have your solution. For the full walkthrough, make sure to watch HomeAdvisor's video below. How To: Drill a Hole in a Ceramic Tile. Nifty Little Trick. News: How to Make an Amazing Pac-Man Shower Curtain! I was really stressing about this, now I have the confidence to get this done alone! Thank you!!!! Will this work for curtains that are opened and closed everyday? I have blackouts in front of my patio door and the curtain rod pulled right out of the wall this morning. It worked in my dining area but not my living room.